Once ex- Northsider gang member who later joins the Capone Outfit. He eventually becomes Al Capone's top triggerman. McGurns short term with the Northsiders came about because he was deemed recalcitrant amongst the group by always doing his own thing. Jack's name upon arrival to Ellis Island was Vincenzo Gibaldi. He and his family arrived from his birthplace in Licata ,Sicily. The city of Licata, with a population of 39,000, stands between the Salso river, Sicily’s second river and the Licata Mount, in the Agrigento province. He and his family arrive to Ellis island on November 24,1906. 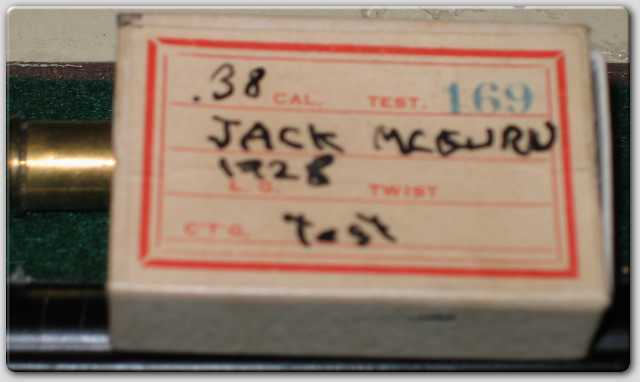 Jack at the time is only a year old.They travelled on the ship called the Gregory Morch that left the port of Palermo. Jack's mother is listed as Giuseppa Verderame and she is 24 years old on this manifest.Going to America to join her husband by the name of Gibaldi. Besides Jack, she has along with her Salvatore Gibaldi 10 months and her little brother Francesco Verderame 8 years. They head to New York to be with her husband before coming over to Chicago. ( Demora, DeMory)* was murdered when Jack was young. His stepfather was a Chicago grocer and supplier of sugar for alky cooking. Jack killed everyone involved with his death by the time he was 21. His boxing career failed and he moved on to criminal activities. He makes his first nefarious appearance in the paper on March 29, 1926 under alias James Gebhardt from 1230 Oregon Avenue. He was shot at in an alley of 630 South Morgan street.He could give police no explanation for the attempt on his life. (His mom and brother Anthony lived at 622 South Morgan street). He began gangdoms rungs starting as a recruit for the Circus gang, a Capone subgroup run by Claude "Screwy Moore" Maddox. He reached crime success when he was noticed by Al Capone as a true professional in his abilities as a bodyguard and killer. McGurn kept constantly in shape at the gym and was always well groomed. 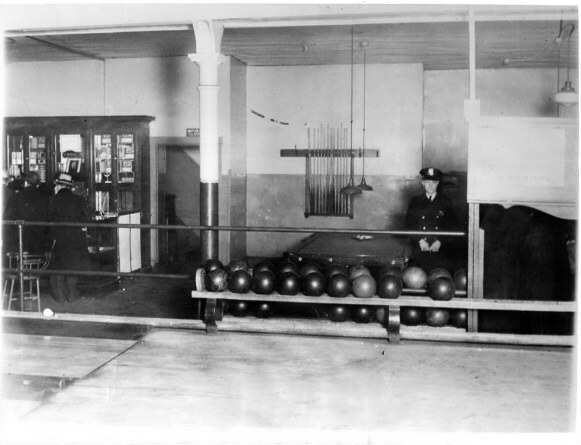 Capone noticed the fitness ethusiast and forced all his bodyguard and hitmen to the gym he had specially built in the Metropole and Lexington hotels. Soon his mounting reputation started following him. 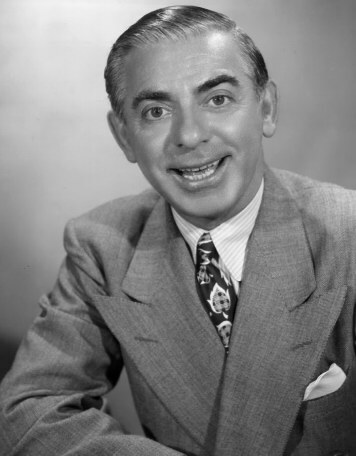 Eddie Cantor once was extorted by gangsters pretending to be in the Capone mob. 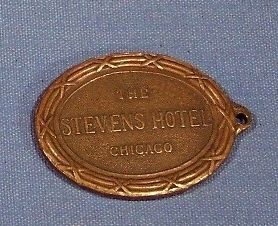 In February of 1930, when he was appearing in Chicago at the Illinois Theater for the production of "Whoopee", he got a visit at his hotel room by some heavy set men. They knocked on his hotel door and he let them in. They told him they were from the Capone mob and were sent to warn Cantor to come up with $25,000 dollars by the following evening or else! They would visit Cantor the next night at his dressing room to collect the cash. Well, Cantor by now was pale as ghost. Having read newpaper accounts of gangster stories, Cantor assumed is he didn't have a choice and that he would be killed. He immediately went back to the Illinois Theater where he pleaded with the company manager to get in touch with the show's financial backers. This in order to advance Cantor $25,000. 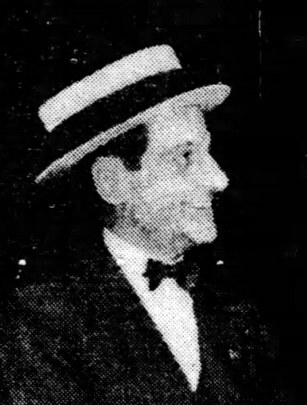 Rollo Timponi, who was the house manager at the time happened to overhear Cantor's predicament and asked for further details. After hearing Cantor's story, he told the company manager to hang up the phone and that he would handle this himself. Timponi placed a call to Ralph Capone, who immediately came down to Cantor's show. After the first act, Timponi had Ralph Capone enter Cantor's dressing room. Ralph introduced himself and asked Cantor to recount the story of those two men trying to shake him down. After Cantor finished his story, Ralph said "All right, those men are not connected to my brother. We'll help you if you go along with us. Is it a deal?" Cantor nodded in agreement. Ralph Capone then opened the door and beckoned. A sleek, dapper youth entered. "Mr. Cantor this is Jack McGurn. He'll stay with you tonight and take you back to your hotel. He'll bring you back to the theater tomorrow. He'll be with you every minute. Do as he tells you." Upon seeing McGurn Cantor was somehow not totally reassured. He noticed how mild mannered McGurn was was. He was almost sleepy. In Cantor's dressing room, McGurn sat down and sprawled non chalantly on the chair almost practically yawning. Cantor, on the other hand, had his nerves stretched to the limit and was about to have a nervous breakdown. Then eventually came a heavy repeated thud on the door. McGurn slid out of his chair snake like and stood at the back of the door. He motioned Cantor to turn the knob and let them in. The extortionists entered. "Well, did you get the dough?" "What dough?" asked McGurn in a soft voice. The pair immediately turned to see a pair of .45 automatics. The pair's lips turned white as they recognized the one and only Machine Gun Jack McGurn facing them. "I ought to take you two punks out in the alley and shoot you through the head, but that would cause too much heat." Here's your orders from up top. You're both to be out of town by eight o'clock tomorrow night. Got pistols on you?" The thugs shook their heads. "You wouldn't have guts enough to reach for 'em if you did!" McGurn put away his automatics. "Get going! Scram!" Cantor suddenly relaxed for the first time in a week. You won't have no more trouble from them anymore Mr. Cantor. So long!" McGurn said mildly. 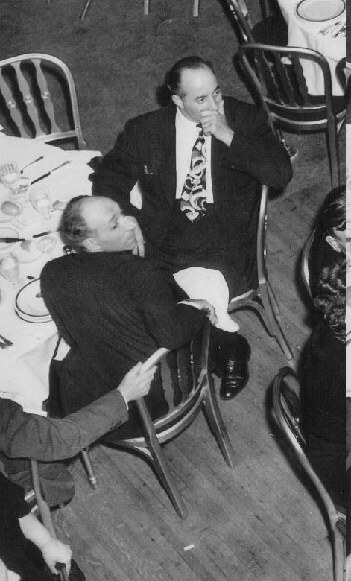 Cantor and other stars later appeared gratefully at Ralph Capone's Cotton Club in Cicero as a gesture of appreciation. * McGurn's real name was Vincenzo Gibaldi and the main reason for the slight various name changes was a simple one. Avoiding shame. As with most aspiring criminals, they know and understand that their names will eventually show up in the newspapers in relation to crimes committed.The name changes were important to avoid family members shame and grief. Once such case was Albert Kachellek, a Northside gang member who changed his name to James Clark. He was always in serious trouble and changed his name to avoid his family shame.This was related to the newspapers by his sister at the time of his death in the massacre. Jack McGurn and his beautiful girlfriend Louise Rolfe also known as his blonde alibi. Jack was constantly at Capone's side to protect the big fellow and was seen everywhere Al went, football,baseball games and night clubs.One time Joey Aiello a Northside ally and anti-Capone gangster tried to have Al Capone killed. Each time the plot was uncovered before anything took place. 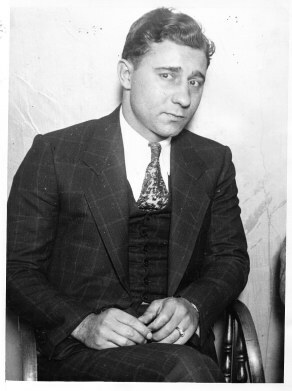 Joe Aiello placed a $50,000 bounty on Al's head and gave the offer to any gangland killer in the U.S.
Three such hitmen were killed within hours upon arriving into Chicago. **Contrary to popular belief there is no proof whatsoever that McGurn ever placed a buffalo nickel in any of the victim's that he had killed. 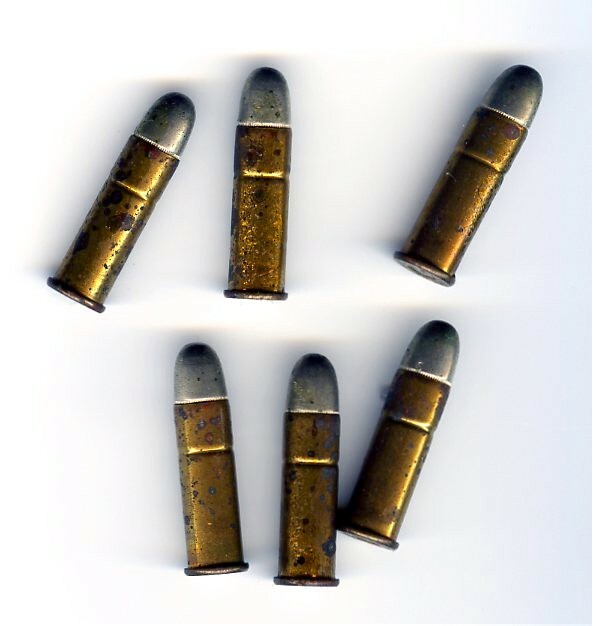 ** While there is no proof that McGurn himself had placed any nickels, there were still a couple of instances where gangland ride victims were found shot dead with buffalo nickels pressed in palm of their hands. 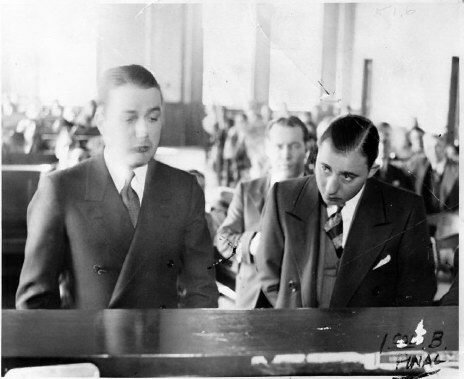 On September 5,1929, gangsters Edward Westcott and Frank "Cy" Cawley were found killed gangland style near Riis park near Fullerton and Narragansett avenues. Both had nickels in their hands. On December 12,1930, Rudolph Marino and his brother Sam, alias Giacomo Tomasulo are found in Evergreen park near Califonia Avenue and 91st street. A nickel was found in each palm. 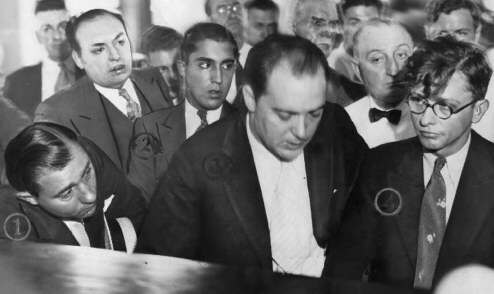 The immediate disposal of imported hitmen proved that the Capone organization had ears everywhere. McGurn was also subject to reprisals by the equally deadly rival Northsiders. 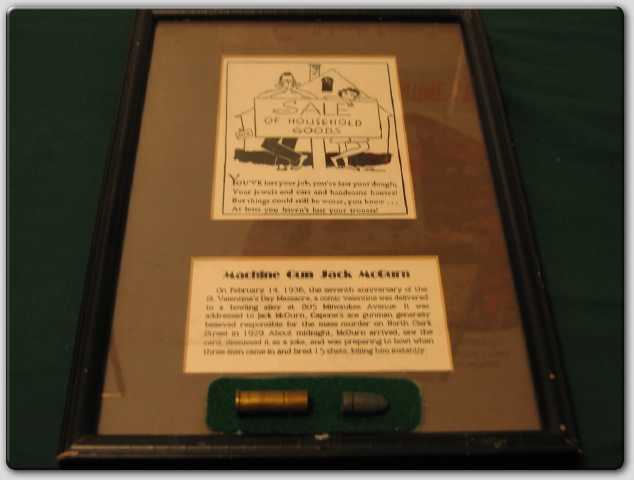 On March 7,1928, Jack McGurn was almost cut in half by machinegun fire by the Gusenberg brothers while he was in the smokeshop in the McCormick hotel talking with a real estate operator named Nick Mastro. With a driver at the wheel, two gunners ran in, one with a Thompson and the other sporting a .45 automatic. Only the thompson was fired. McGurn threw himself against a partition. Mastro also wounded appealed to a doctor at the hotel by the name of Robert Lamb.The Dr. sent him to Henrotin hospital as he had been shot in the right lung and the left arm. Picture diagram of how gun men entered Hotel Smoke shop. Lamb later was told by a bell boy to hurry up to room 906 where a man was said to be bleeding to death. Lamb found McGurn who asked Dr. Lamb for help. He was sent immediately to Alexian brothers hospital. He had been shot in the chest and arm. This event is always erronously mentioned by historians as McGurn being trapped in a phone booth, which just never happened. Jack McGurn recuperating in hospital. He escaped death and after a short recovery, came back into the fold of Capone's Killers. Killers once again try to hit McGurn on April 17,1928. 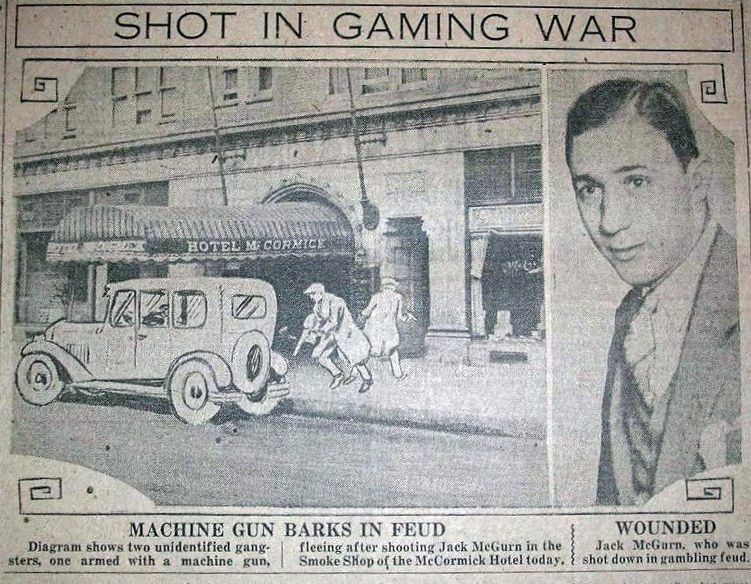 McGurn was in his Lincoln sedan, when a touring car with four men began firing a thompson in his direction at Morgan and Harrison streets. McGurn quickly jumps out and runs toward the archway of 525 South Morgan for cover. The doorway is pelted with .45 bullets, but McGurn escapes uninjured. 8 bullet holes are visible in his Lincoln sedan. Some believe these hits were reprisals by the Northsiders for McGurn's failed attempted hit on Comedian singer Joe E. Lewis. McGurn leaving phone booth at the Stevens Hotel. 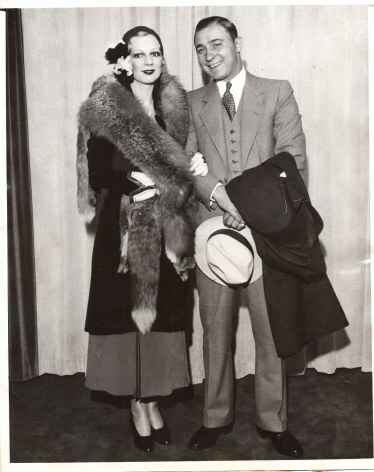 Louise Rolfe and Jack McGurn shortly after they were married in 1931. 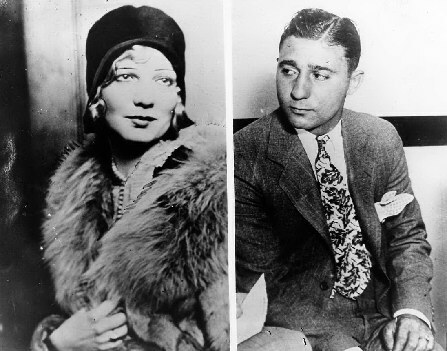 McGurn made his alibi with one Louise Rolfe and stated they were at the Stevens Hotel making Valentine's love all day.They had been registered under the name J. Vincent D'Oro in room 1919 A. (Yet newspapers found littered on the floor of their suite were all opened to the massacre story). The police nonetheless charged him with seven counts of murder. He was also charged with crossing the state lines with Louise Rolfe an unmarried woman which in those days was considered to be a type of white slavery. Jack beat both the slavery and massacre charges by marrying Louise, thus avoiding Louise from testifying against him in court. This was why she was called the Blonde Alibi. 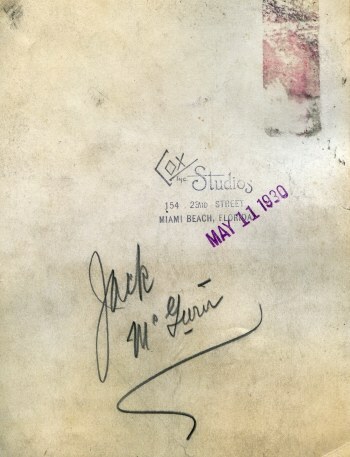 Jack was married previously for seven years to a woman named Helen. He had divorced her just days before marrying Louise. Louise was also a divorcee who was previously married to a man by the last name of Bokes. That union produced a daughter named Berneda. Louise had been in trouble as early as 15 years old when her bad driving killed a man and injured several others. This would be replicated again later on in another accident she caused. She had attended Swift Grammar school and then Senn High. 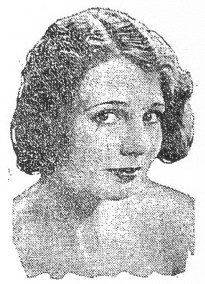 She did not complete Senn, but became a model and cabaret entertainer. 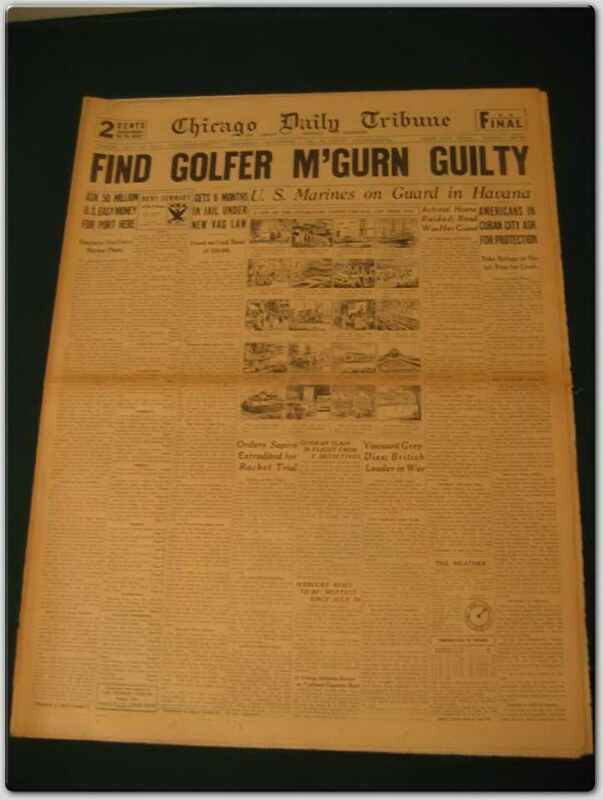 McGurn the golfer arrested and found guilty of vagrancy. He is arrested on June 25 th 1930 for carrying a gun. At the time, he was in a taxi cab with Tony Accardo at Dearborn and Harrison street. In the years following the massacre, Jack McGurn's popularity began to dwindle because he was becoming too risky to use on hits as he turned out to be an immediate suspect. Once Al Capone was sent to prison, Jack began to find himself alienated from the other Capone members as most of them despised his cockiness and good looks. His clubs and investments in hotels took a dive along with the stock market crash. 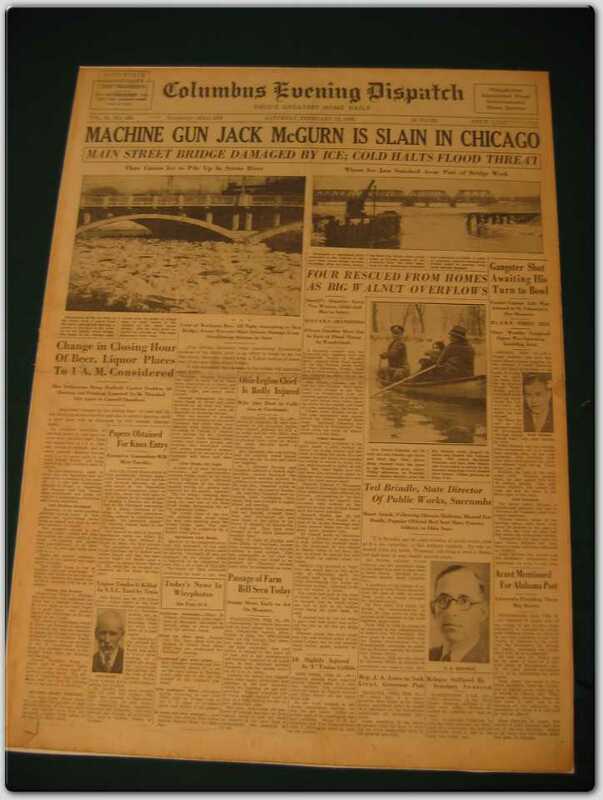 On June15,1931, McGurn is stopped and held prisoner by the Evanston police for speeding. He was accompanied by Louise Rolfe and another man. They were on the way to a golf course. Funny enough, Jack had one talent left and that was golf. 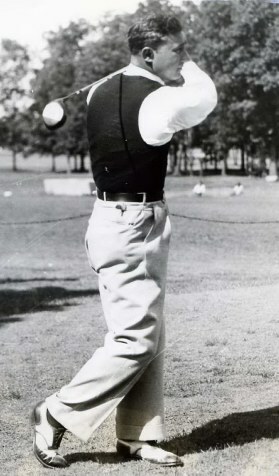 He tried himself on the pro circuit and almost succeeded had not the police arrested him on the court while teeing off. 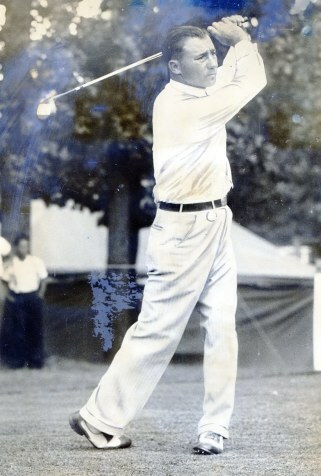 McGurn was a great golfer. August 26,1933 at Olympia fields (Evergreen golf club). Looking relaxed, tanned and wearing gray flannels, Jack McGurn (Vincent Gebhardi) participates at the Western open as a professional. 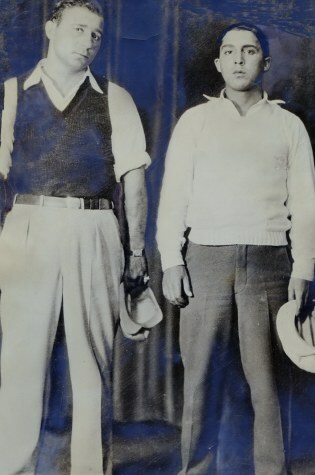 Some of the best known golfers were there that day Tommy Armour, Jock Hutchinson. He was one point under par after six holes to equal the tournament leader Macdonald Smith. Jack McGurn and his half brother Anthony arrested on the golf links and placed in a police lineup. Jack McGurn(1) and Anthony (2) in court. 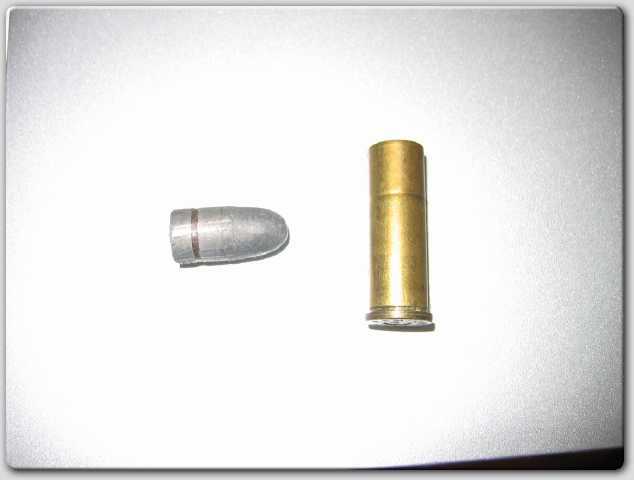 Display of bullet fired through McGurn gun seized by police. 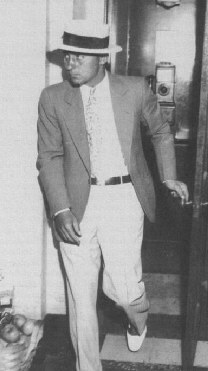 Calvin Goddard tried to forensically link it to a few Chicago gang murders. 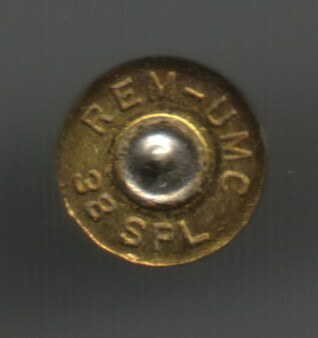 Close up of .38 Special slug and casing fired through McGurn seized weapon . McGurn in one of his many court appearances. Mostly for vagrancy, because they couldn't pin any murder on him. 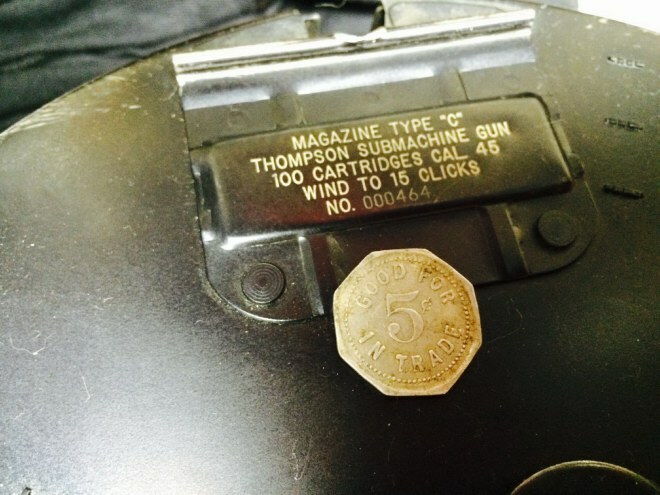 Goddard/ McGurn test cartridge box. McGurn figures several times on Goddard's list for bullets and weapons linked to murders. 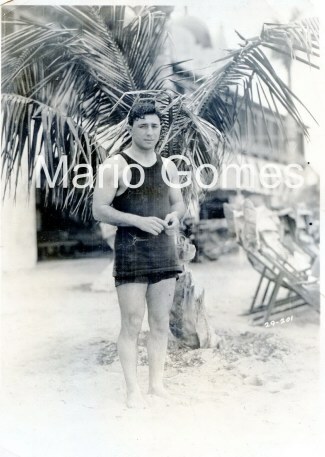 Personal signed 1930 Photograph of McGurn taken at Miami Beach. Snapped by Cox photo studios 154 23rd street, Miami Beach. They would approach people to take and sell their photos. This photographer had big gonads to ask McGurn if he could take a snap and sell it back to him. It was at the seventh hole in which three plain clothes officers along with photographers made McGurn annoyed.This lead to his golfing collapse. McGurn even grabbed the photographer by the shirt. McGurn asked the police to let him finish the game.It was at the following holes that his putter began to shake and his score went down hill. His golfing career now over, Jack was now reduced to accepting 50 cent bets after being squeezed out of major outfit action. Jack tried to plead with the mob for an interview with Frank Nitti in hopes that he could give him some action in the new outfit. He was refused and told he was finished. His hardheadedness told him to pursue sideline work anyhow (without mob permission) and his bitterness began to make him throw his weight around in letting it be known that he knew alot and could make trouble for some pretty high mobsters. 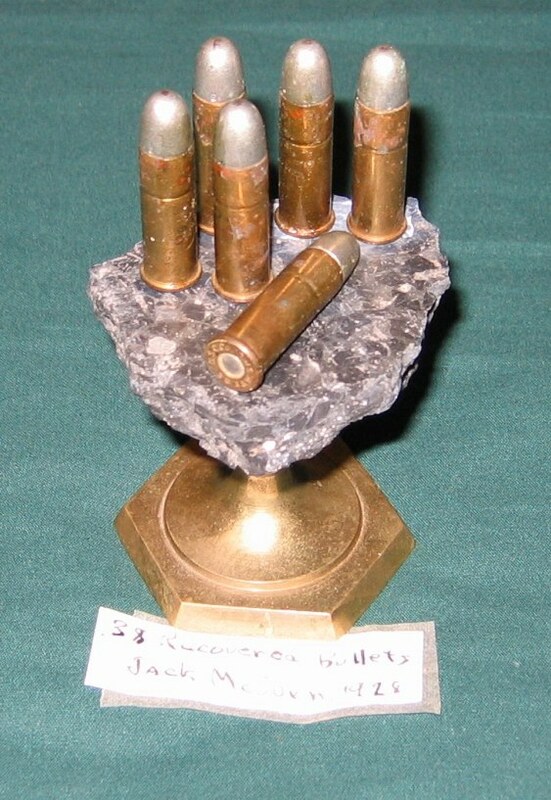 Six U.S. Cartridge Company S & W .38 SPL caliber rounds seized from Jack McGurn 1928. (Mario Gomes collection courtesy of Mr. Bill Helmer Jr.). Underside of McGurn round. Calvin Goddard tried to ballistically link McGurn's gun to various crimes. According to my friend researcher Larry Raeder, McGurn drank heavily at times and used to mouth off alot. One time while inebriated, he threatened a guy with bodily harm. The victim later managed to calm him down. The next day Jack didn't remember anything about the incident when crossing paths with the same party from this incident . This was probably the reason the mob had to get rid of Jack as he was down on his luck and was beginning to hit the bottle very often. 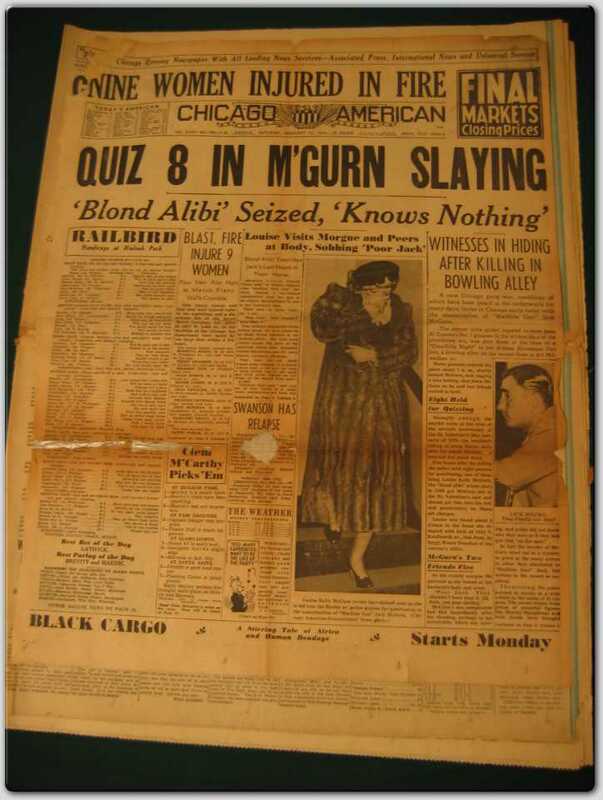 McGurn was also known as an incurable skirt chaser, running after every blonde around him. 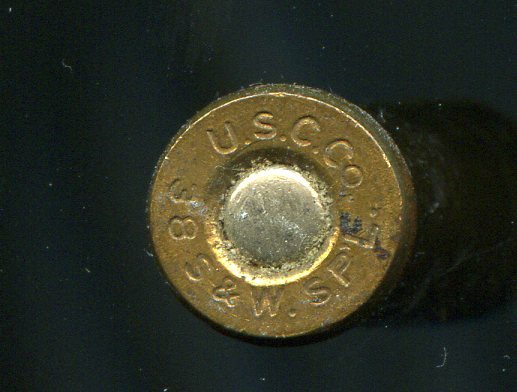 Close up of seized rounds. 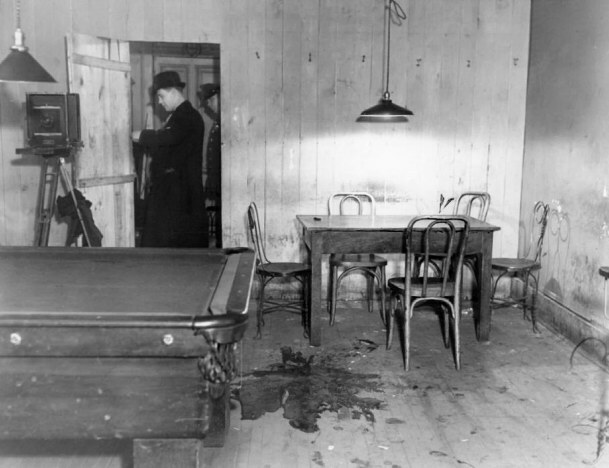 On February 15,1936, almost exactly seven years after the massacre he masterminded, Jack McGurn entered a bowling alley at 805 Milwaukee ave with two so called friends. He was planning a bowling match when another entered the bowling alley. There was commotion when the the third man yelled for everyone to stand still. "You move and you die" was the yell before the semi circle of men began firing in Mcgurn's direction. Three shots fatally hit Jack in the head and back before he crumpled to the floor. A comic valentine is not found on his body as most books will tell you ,but left at the reception of the bowling alley in which Jack reads at his arrival. The note states " You lost your dough and handsome houses, but things could be worse you know at least you haven't lost your trousers". It lead to believe that this was payback for the massacre by the Northside mob, but it also could have been a convenient smokescreen for Frank Nitti's outfit to rid themselves of someone who knew alot and was now at odds with them. 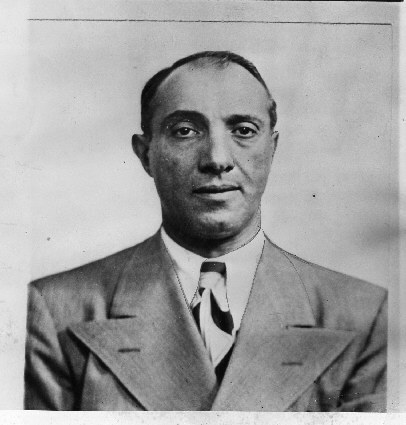 With Capone put away, Jack had no longer the Capone immunity needed from the Nitti mob to stay alive.Jack McGurn's brother is later killed on March 2,1936, thus preventing any real retaliation from any family members. McGurn gunned down in bowling alley. February 15,1936. 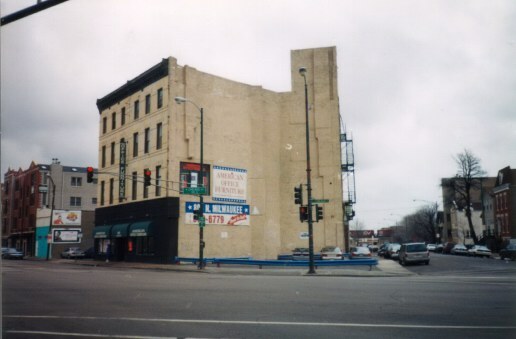 Front entrance of bowling alley at 805 North Milwaukee avenue. Jack McGurn's lifeless body at the bowling alley. On his person was found a total of $3.85 and two unused tickets to the Bath - Burman fight. Copy of comical Valentine card left at the bowling alley's front desk for McGurn. Aloisio owned the bowling alley where McGurn was killed. He probably knew what was to go down that night. He played dumb when questioned by detectives as to who the killers were. He claimed not to know McGurn at all. Willie Aloisio, (Back towards camera) seen here at Tough Tony Capezio's daughter's wedding. Man covering his mouth is Louis "Little New York" Campagna. 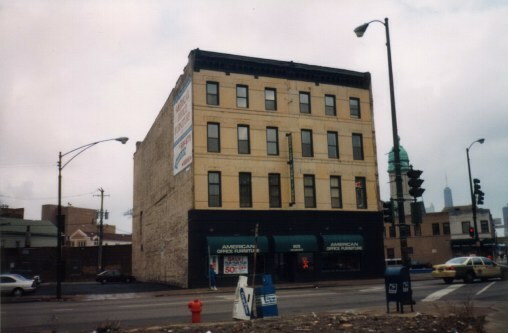 Avenue Recreations Bowling and Billiards at 805 North Milwaukee avenue today where Jack McGurn was slain. Another view of the old Bowling alley where McGurn died. It's now an office furniture supply store. 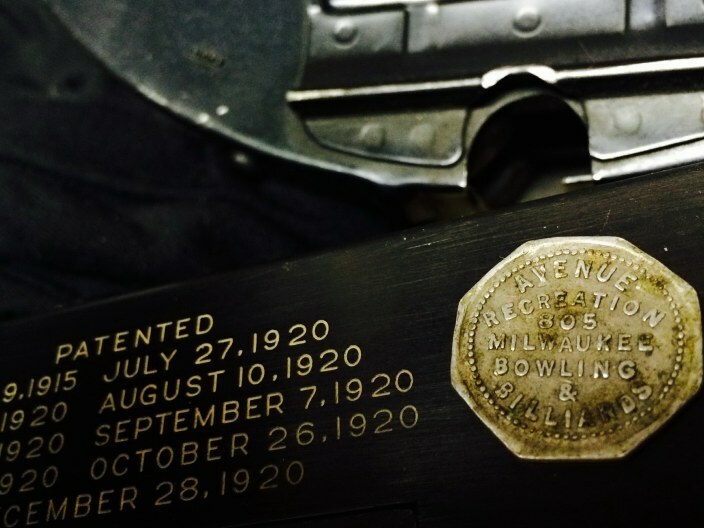 Token from 805 North Milwaukee where Mcgurn was killed at left resting on top of Thompson submachine gun. Token now in my collection thanks to Mark "The Chopper" Taylor. (Token Mario Gomes collection. Photo by kind permission of Mark Taylor, Thompson owned by Mark Taylor). (Token Mario Gomes collection. Photo by kind permission of Mark Taylor, Thompson drum owned by Mark Taylor). With 20 witnesses to McGurn's slaying, no killers are ever found. McGurn's automobile, a Ford is found is found two days later in front of 315 North Ada street. It's believed the killers took flight in it after killing McGurn. The car was cleaned and kept in a garage before being left on North Ada. Residents on North Ada saw a man get out of McGurn's vehicle and get into another car with men in it before driving off. In McGurn's auto, police find a key ring with five keys. One was for a safety deposit box. It turns up nothing as McGurn died broke. Louise Rolfe is distraught over Jack's death. McGurn's funeral is a simple one. 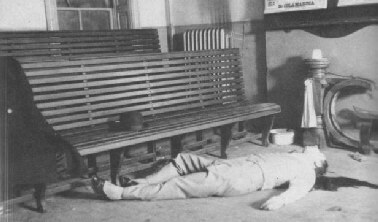 His body is placed in a $1,000 dollar casket and exposed February 18,1936 in the undertaking rooms at 624 North Western avenue. It lacked the splendour of past gangland funerals. Still his casket was surrounded by at least 40 or more floral tributes.Twenty-seven automobiles filled with friends and relatives followed the hearse to the Hillside cemetary. (Mt. Carmel). Al Capone's mother Theresa, and sister Mafalda along with her husband ,John Maritote, attended the McGurn funeral. This was a sign of respect, and thanks for the man who loyally protected their famous relative. Al probably did not hear immediately of McGurn's demise since he was in Alcatraz. At the head of McGurn's coffin the Capone family bought a six foot tall pillar of white rosebuds and lillies with the inscription "From Al"
16 days after Jack's murder on March 2, 1936, Anthony Gebardi, Jack's half brother is sitting at a card game at 1003 Polk Street. This location is Santo Cutia's pool room where local Sicilians gather to shoot pool, play cards, gossip and make nefarious deals. Anthony was reading the hand he was dealt when all of a sudden three men walked in. One stood guard at the door while the other two whipped out guns ( .38 and .45 caliber). They rushed towards the table and yelled "This is a stick up!" Gerbardi who had his back towards them slowly rose. At this point the men began firing in his direction. Bullets hit Anthony in the left jaw, left shoulder and the left side. One bullet struck his wrist watch. Watching in horror was Anthony's younger brother Joseph. 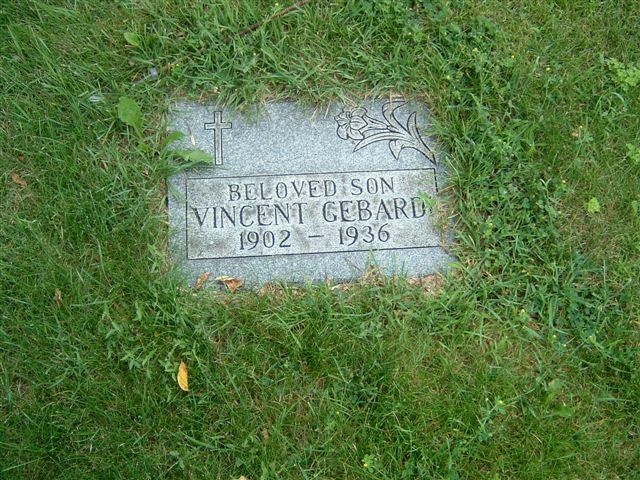 Patrons of the poolroom quickly took Gebardi to Mother Cabrini Hospital where he later died. He was 24 years old. 1003 Polk Street pool room. Scene where Anthony Gebardi Demory was killed. 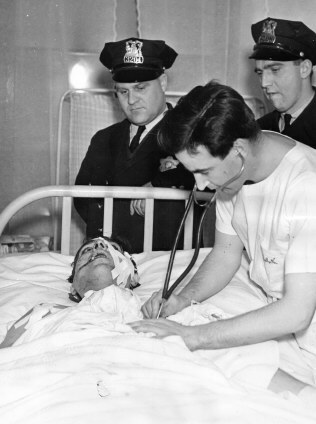 Anthony at Mother Cabrini Hospital shortly before dying. 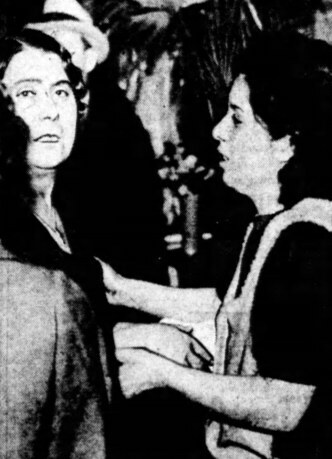 Josephine (left) and Angeline Demory. Jack's and Anthony's mother and sister are struck once again with terrible news. For further reading on Jack McGurn, please visit the new gangster books of this website.